Mikhail Zoshchenko is relatively unknown outside of Russian literature, but he was the most popular satirist in the Soviet Union from the early 1920s until 1946, when he was expelled from the Union of Russian Writers and his works banned. Zoshchenko incisively examined the cultural confusion that followed the Bolshevik Revolution, using a traditional Russian literary technique known as skaz, which establishes a comic narrator distinct from the author. Central to Zoshchenko’s satire was the singular language his skaz narrators employed, blending slang, Marxist jargon, and humorous distortions of common usage. Privileged Upbringing. Mikhail Mikhailovich Zoshchenko was born on July 28, 1895, in Poltava, Ukraine, then part of the Russian Empire. His father, Mikhail Ivanovich Zoshchenko, was a painter and landowner, while his mother had been an actress and had published a few short stories. He was drawn to writing at a young age, composing poetry by 1902 at the age of seven and attempting his first prose in 1907, the year his father died. At seventeen, he began studying law at the University of St. Petersburg. A Soldier during World War I. When World War I began, Zoshchenko abandoned his studies and joined the Imperial Army. World War I began when the heir to the throne of Austria-Hungary, Archduke Franz Ferdinand, was assassinated by a terrorist in Sarajevo, Serbia, in June 1914. Austria-Hungary soon declared war on Serbia and its allies. Entangling alliances brought nearly every European country into the conflict. Austria-Hungary allied with Germany, Turkey, and, until 1915, Italy, against France, Russia, Great Britain, and, after 1917, the United States. Zoshchenko became a lieutenant in the grenadiers and was decorated twice for bravery. During the war, he suffered gas poisoning, which left him in chronic ill health. As World War I was being fought, Russia was facing internal challenges. During the reign of Tsar Nicholas II, which began in 1894, numerous opposition groups formed that opposed the autocratic nature of his rule. Such groups gained power when the tsar’s forces were defeated in the 1905 Russo-Japanese War. While Nicholas tried to hold on to power by allowing elected Dumas (legislatures), he allowed only limited reforms while retaining control of the government. Further defeats in World War I to the Germans led to the end of Nicholas’s reign. He was forced to abdicate in March 1917, leading to another conflict over who would run the country. The Bolsheviks (Communists), led by Vladimir Lenin, ultimately emerged victorious in 1918, and Lenin immediately agreed to a peace treaty with Germany. Soviet Russia’s Best-Selling Humorist. After the Russian Revolution, Zoshchenko held a number of different jobs, from bootmaker to patrolman. He briefly joined the Red Army, though he never joined the Communist Party and in fact remained politically uncommitted throughout his life. He settled down in St. Petersburg (then called Petrograd), married and had a child, and began his first serious efforts at writing. He helped found a group called the Serapion Brothers, who were mostly socialists but opposed restrictions on artistic expression. His first skaz sketches assumed the voice of a poor soldier named Sinebriukhov, who narrates his mishaps in a nonsensical mishmash of slang, dialect, and bureaucratic jargon. The first collection of Zoshchenko’s stories, The Stories of Nazar Ilich, Mister Sinebriukhov (1922), was an instant success. Twenty more followed over the next four years, selling millions of copies and quickly establishing him as the most popular humorist of the time. The Sinebriukhov stories gave Zoshchenko his signature style. His narrators took on various pseudonyms, but his work was instantly recognizable by its uniquely zany diction and its tragicomic portrait of Soviet society. Satirizing the everyday hardships facing the Soviet citizen, he avoided the romantic or grandiose tone of many of his peers. To him the new society was nothing heroic or inspiring but instead a series of petty frustrations and defeats. Reflection of Changes in Society. Zoshchenko’s humor captured the social chaos in Russia after 1917. The collapse of the monarchy and aristocracy brought acute disruption and dislocation. Public discourse was suddenly full of a strange Marxist vocabulary—language itself had undergone a revolution. Massive literacy campaigns produced millions of newly educated readers. Zoshchenko spoke to them, ironically contrasting revolutionary ideals with the reality of Soviet life, in prose that replicated oral storytelling. In ‘‘The Woman Who Could Not Read,’’ for example, a woman fails to respond to the party’s literacy drive—until she finds a scented letter in her husband’s pocket. Some of Zoshchenko’s stories underscore the deprivation and hardship of contemporary life. The much lauded introduction of electric light, in the story ‘‘Poverty’’ (1924), only reveals how poorly the people truly live. Zoshchenko’s narrators typically live in collective apartments, divided among several families who share the kitchen and bathroom. In ‘‘The Crisis’’ (1925), a man and his wife live in a bathroom, giving their newborn a bath every day, while their thirty-two roommates also want to use the facilities. A series of longer, darker stories, collected as What the Nightingale Sang: Sentimental Tales (1927), plays on literary conventions as well as motifs from classic Russian works, such as those of Nikolai Gogol and Aleksandr Pushkin. Youth Restored. Zoshchenko, as well as Soviet society as a whole, faced challenges in the mid-1920s. After the death of Lenin in 1924, a power struggle ensued for control of the Communist Party. By 1928, Joseph Stalin had eliminated all his rivals and achieved full power. His rule was harsh and included forced industrialization and collectivization of agriculture. During Stalin’s so-called Cultural Revolution on the establishment, Zoshchenko felt pressure to bring his work into line with more orthodox Soviet literature. The gray area in which uncommitted artists could work was closing. At the same time, Zoshchenko had a personal impulse to clarify his writing. His health had become an obsession that soon overshadowed his work. Zoshchenko was a hypochondriac and chronically depressed. At the end of one severe bout of ennui in the early 1930s, he felt he had found the secret to health and longevity, which he set out to share with his readers. 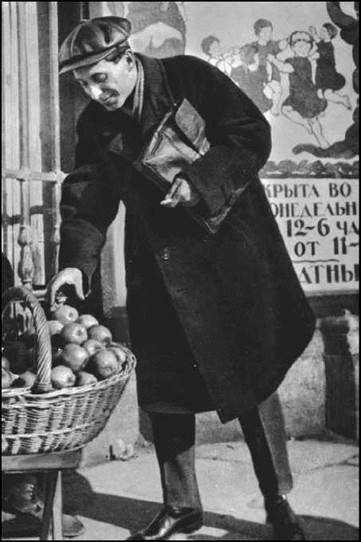 The result, a novella called Youth Restored (1933), became Zoshchenko’s most controversial work. What Zoshchenko envisioned as a straightforward, didactic work came out as something quite the opposite. The story of Youth Restored concerns an aging, depressed professor who embarks on a rigorous program of self-help, which succeeds to the point where he courts and marries his neighbor’s nineteen-year-old daughter. In the margins of this ludicrous skaz narrative, however, one hundred pages of footnotes present Zoshchenko’s newfound views on wellness. The juxtaposition creates an unsettling experience for the reader: Is this a sophisticated satire, an earnest self-help treatise, or could it conceivably be both? Survival without Ambiguity. The intentions of his next work, The Blue Book (1935), were similarly opaque. It also blends fiction and documentary, parody and ideological correctness. The Blue Book surveys human history, with dramatized historical episodes or concise bulletins of facts linked by a common theme. Confounding critics, the work could be seen as either a simplistic historical romp or a clownish mockery. Producing such unorthodox literature was risky under Stalin. In the later 1930s, after socialist realism had become the official doctrine for Soviet literature, Zoshchenko modifed his style. In his short pieces, the language is demonstrably clearer, and the narrator has a clear grasp of the story and the lesson to be drawn from it. Several documentary works seemed to demonstrate his ability to write without irony or ambiguity. If the world Zoshchenko created in the 1920s was chaotic and frustrating, now it was relatively efficient and welcoming. Because of the manifest changes in his work, Zoshchenko’s official standing reversed itself. Stalin’s purges claimed the lives of millions and devastated the ranks of experimental writers, but Zoshchenko was not subject to persecution nor was his work suppressed. Wrote Before Sunrise. During World War II (a global military conflict involving sixty-one countries that ultimately left 55 million people dead), Zoshchenko contributed antifascist propaganda work, as did nearly all Soviet writers. He also completed his most ambitious and autobiographical work, Before Sunrise (1943). Denounced and Silenced. Zoschenko’s message was too idiosyncratic and egocentric for Stalin’s Soviet Union. Publication of Before Sunrise was interrupted after the first half appeared in the journal October. The second half would not see print until 1972, long after Zoshchenko’s death. The censorship of Before Sunrise crushed Zoshchenko. Two years later came a worse blow. In 1946, one of Zoshchenko’s stories for children was republished in an adult periodical, and out of context it seemed provocative and politically suspicious. Andrei Zhdanov, the leading literary hatchet man of the Stalinist era, heaped devastating criticism on Zoshchenko, calling his writings ‘‘rotten, vulgar, and empty.’’ Zoshchenko was kicked out of the Writers’ Union, deprived of his ration card, and even forced to return to shoemaking. His career as a satirist was essentially over, his long contribution to Soviet literature dismissed. The cultural thaw following Stalin’s death did not restore his reputation. His health deteriorated, and he died in Leningrad in 1958. Mikhail Sholokhov (1905-1984): This Soviet novelist wrote And Quiet Flows the Don (1928-1940). He was the winner of the 1965 Nobel Prize in Literature. Isaac Babel (1894-1984): This Jewish Soviet journalist, playwright, and short-story writer published such books as the short-fiction collection The Odessa Tales (1927) and the play Zakat. Nathanael West (1903-1940): This American author, screenwriter, and satirist was best known for his darkly humorous The Day of the Locust (1939). Robert Benchley (1889-1945): This American humorist was known for his work as a newspaper columnist, film actor, and member of the Algonquin Round Table. Aldous Huxley (1894-1963): This English novelist, essayist, poet, and short-story writer is best known for his 1932 classic Brave New World. The Twelve Chairs (1928), a novel by Ilia Il'f and Evgenii Petrov. In this book, a confidence man and a dispossessed aristocrat pursue some contraband jewelry hidden in a dining room chair. Ninotchka (1939), a film directed by Ernst Lubitsch. This comedy starring Greta Garbo contrasted the dull gray of Soviet life with the romantic decadence of Paris. Animal Farm (1945), a novella by George Orwell. The most famous allegorical satire of the Russian Revolution and the rise of Stalin. Moscow2042 (1986), a novel by Vladimir Voinovich. Time travel reveals the bleak future of the Soviet Union, in a dystopian parody written during the glasnost (openness) period. Zoshchenko’s satirical prose is often compared with that of the nineteenth-century Russian master Nikolai Gogol. Zoshchenko shares with Gogol a highly inventive verbal expressiveness and a similar trajectory from ironic humor and absurdism to attempts to write highly didactic texts. Some critics also believe that Zoshchenko’s humor was influenced by two other Russian writers, Nikolai Leskov and Anton Chekhov. In addition, Zoshchenko’s writings were affected by the challenges of day-to-day existence in the Soviet Union. Skaz. Gogol was also one of the most notable practitioners of the skaz technique, whose most recognizable feature is the oral quality that the written text exhibits. A skaz author seems to have turned over the storytelling to a newcomer, often a barely literate one. Zoshchenko exploited the comic potential of this device, often to absurd effect, thereby increasing the ambiguity inherent in any skaz text. Since the author openly passes responsibility to a fictional narrator, the question is always open as to whether the narrator’s comments reflect the character’s ideas or those of the author. Thus, Zoshchenko’s use of skaz created a certain anonymity, which vexed those Soviet critics who judged literature purely on ideological grounds. The technique won him a notable degree of free expression. Class Conflict and the Party Line. In terms of content, Zoshchenko’s stories belonged to a rich satirical tradition that played up the petty foibles of daily life in Soviet society. His fresh, modern subject matter seemed in tune with the revolutionary spirit of the times. He adopted the viewpoint of the newly triumphant proletariat, yet often mocked notions of class conflict. In ‘‘Philistines’’ (1926), the narrator is outraged when a fellow worker is tossed off a tram for improper attire, when in truth, the worker had entered the tram covered in wet paint. His protagonist usually aspires to cultural sophistication while behaving in ways that undermine his pretensions. His satire extends to Communist Party doctrine. Typically his narrator would faithfully express the party line but in an ignorant or farcical way. No subversive views would appear in the text, but astute readers could enjoy the parody. A Hornet’s Nest of Language. Zoshchenko’s narrators speak in an unforgettable jumble of slang, working- class idiom, Bolshevik lingo, and sheer nuttiness. The brilliance of this verbal humor is difficult to capture in translation. Passages take dizzying, unexpected twists as language escapes the narrator’s control. Tangled in a snarl of words, the moral of the story eludes the narrator or gets turned on end, delightfully frustrating the reader’s expectations for a clear-cut, didactic tale. Influential Comic Master. Despite Zoshchenko’s detours into the self-help genre, and his subsequent trouble with the regime, his popularity with readers has ensured his lasting influence. His contributions to Russian literature, in terms of humor, language, narrative persona, and the genre of the short story, cannot be denied. Zoshchenko wrote for the ‘‘mass reader’’ with great success. By virtue of his popularity, he could be considered among the most democratic writers in Soviet history. Furthermore, his appeal bridged normally distinct readerships, since it could be read and appreciated at different levels. The virtuosity of his comic language, and the humanity that shines through his work, have won many admirers. Shifting Reception. His critical reception in the Soviet Union, however, was politically fraught. As his popularity peaked in the 1920s, the critical establishment viewed him suspiciously: some found his work too grim and pessimistic, even anti-Soviet. In the 1930s, as he trimmed the ambiguity from his stories and clarified their edifying intent, he gained more critical acceptance. At the same time, critics reevaluated his earlier work, reaching consensus that Zoshchenko should be seen as distinct from the proletarian narrators he created. The critics, in effect, had finally caught up to the readers in their judgment. Before 1946, Zoshchenko’s name was generally unrecognized outside the Soviet Union. Upon his persecution, Western scholars promoted him as anti-Soviet, placing him in the canon of dissidents who bravely told the bitter truth of Soviet life. Ironically, a contrary process took place in the Soviet Union after his death. He was rehabilitated, and collections of his stories were republished, though carefully edited on ideological grounds. In the 1970s, three critical books resurrected his standing as a pro-Soviet satirist, generally on the same terms he enjoyed in the 1930s. With the fall of the Soviet Union, he came to be seen as a martyr, and his works gained still further attention and appreciation. The Blue Book. Zoschenko’s largest work The Blue Book received a mixed response from critics from its first serial publication in Krasniaia nov’. This story features a tour through human history that focuses on four constants— money, love, treachery, and misfortune—balanced by a section titled ‘‘Amazing Events,’’ which highlights revolutionaries and the achievements of the Soviet Union. Depending on which section or narrative voice a critic focused on, The Blue Book could be seen either as an optimistic, albeit simplified, survey of history or a ludicrous, clownish mockery. In Pravda, Aron Gurshtein dismissed the book as a cheap vulgarization that suffered from the very present authorial ‘‘smirk’’ whether topics were tragic or uplifting. Alternately, Aleksandr Dymshits in the proletarian journal Rezets praised Zoshchenko for producing a book which was strong and optimistic. 1. Write an essay comparing Zoshchenko’s use of skaz narrative with the comic writings of Nikolai Gogol. 2. In a presentation, address how the skaz technique allowed Zoshchenko an expanded freedom of expression. 3. Write a research paper on how Zoshchenko’s lifelong health concerns affected his literary career. 4. Make a careful study of the types of verbal humor in Zoshchenko’s stories and in a detailed essay describe as precisely as you can the elements that make his work funny. 5. Based on his short fiction, how would you summarize Zoshchenko’s attitude toward the Soviet revolution? Was he pro-Soviet, anti-Soviet, or does neither label apply? Share your opinions in a small group setting. Carleton, Gregory. The Politics of Reception: Critical Constructions of Mikhail Zoshchenko. Evanston, Ill.: Northwestern University Press, 1998. Chudakova, Marietta Omarovna. The Poetics of Mikhail Zoshchenko. Moscow: Nauka, 1979. Harris, Jane Gary, ed. Autobiographical Statements in Twentieth-Century Russian Literature. Princeton, N.J.: Princeton University Press, 1990. Hicks, Jeremy. Mikhail Zoshchenko and the Poetics of Skaz. Nottingham, U.K.: Astra, 2000. Popkin, Cathy. The Pragmatics of Insignificance: Chekhov, Zoshchenko and Gogol. Stanford, Calif.: Stanford University Press, 1993. Scatton, Linda Hart. Mikhail Zoshchenko: Evolution of a Writer. Cambridge: Cambridge University Press, 1993. Simmons, Edward, ed. Through the Glass of Soviet Literature: Views of Russian Society. New York: Columbia University Press, 1953. Dymshits, Aleksandr. Review of Blue Book. Rezets (1936). Gurshtein, Aron. Review of Blue Book. Pravda, May 9, 1936. Hodge, Thomas P. ‘‘Freudian Elements in Zoshchenko’s Pered voskhodom solntse [BA1] (1943).’’ Slavonic and East European Review 1 (1989): 1-28. Titunik, Irwin. ‘‘Mikhail Zoshchenko and the Problem of Skaz.’’ California Slavic Studies 6 (1971): 83-96. Von Wiren, Vera. ‘‘Zoshchenko in Retrospect.’’ Russian Review 4 (1962): 348-61.